The most common cause of injury to seniors is falls. We see it far too often – healthy seniors losing their independence after suffering a fall and the resulting long term injuries. But as with any accidents, most falls can be prevented. One of the best ways to prevent your senior loved one falling at home is to ensure that their vision is being looked after. Vision is the most important sense we use to get around, and any limitations on that can seriously increase the risk of an accidental fall. If you care for a senior loved one, make sure that they are seeing their eye doctor regularly and paying attention to changes in their vision. 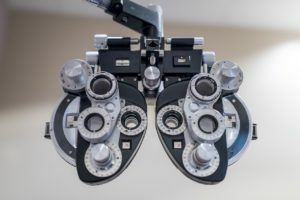 Many vision impairments can be solved with simple eye surgery, and you may be required to care for – or provide a caregiver for – your senior loved one during their recovery period. Whether it’s your mom, dad, or other senior loved one, start recording their medical checkups in your own calendar, and hold them responsible for going to their optometrist at least annually – for their safety and your piece of mind!